It’s more a vehicle’s practical attributes – such as space, towing, and the ability to swallow an entire 29er without removing the front wheel – that appeal most to pedallers. Here are six of the best. The XC90’s an intriguing thing to look at, isn’t it? It’s far more engaging, on a visual level, than anything else in the Volvo stable – a series of defined character traits and chiselled lines take responsibility for the kerbside drama. There’s more than meets the eye, however: this suave Swedish brute’s dual personality gives it the edge over even its closest rivals. Not only is it a spacious high-performance SUV; it’s pretty light on the sauce, too. The T8 Twin Engine XC90, bolstered by an electric motor, packs 300kW and 640Nm of torque. Due to its plug-in petrol-electric configuration, the XC90 T8 is rumoured to consume just 2.1l/100 km on the combined cycle, and will launch from standstill to 100km/h in 5.6 seconds. That’s all really impressive; but adding to the allure is the XC90’s ability to cope with big loads – a boon for active-lifestylers and cyclists like us. The Volvo’s 1 868-litre boot and 2400kg towing capacity make it ideal for weekends away, and for travelling to and from events all over the country. RELATED: Is This The Do-It-All Dual-Susser to Rule Them All? Furthermore, it’s one of our favourite vehicles when it comes to catering for bicycles and related cycling equipment – and, of course, for making us look good while pottering around town. Can it take a 29er whole? With consummate ease. Volkswagen’s Caddy concept has proven pretty successful for the brand here in South Africa, with the line-up now comprising four distinct models: the Trendline, Alltrack, Panel Van and Crew Bus. 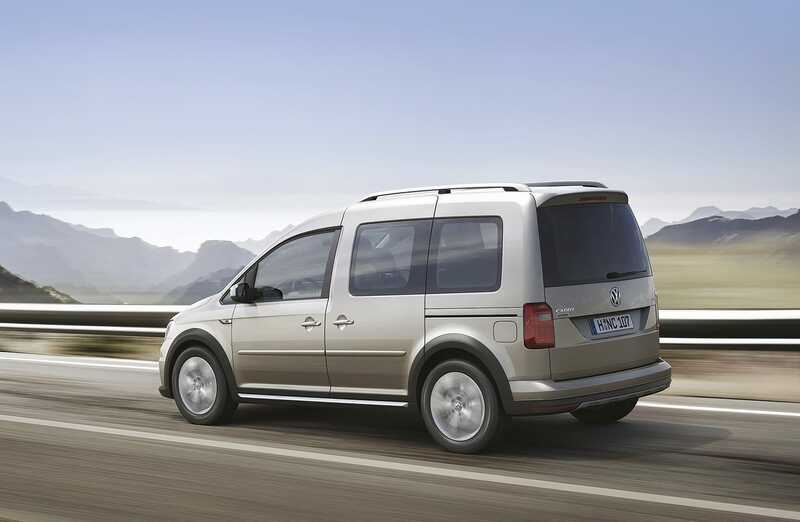 As a practical offering, the Caddy has its benefits – the sliding doors mean entry and exit are simple, and the seat arrangement can be tweaked according to your preferences. And not only is it available as a 5- or a 7-seater; the benches can also be completely removed, increasing the cargo volume even further. Add to that a glut of on-board hidey-holes and other storage solutions, and the Caddy really starts to make sense to the active cyclist. The Alltrack is our favourite. Not only does it benefit from two exclusive colours (Viper Green and Honey Orange); it also gets unique alloys, seat trim, and wheel arches. Standard fitment includes privacy glass, rain-sensing wipers, auto-dimming headlamps and a multi-function steering wheel. A solitary 2.0-litre turbodiesel is available in two states of tune (81kW/280Nm, or 103kW/320Nm), and can be mated to a five-speed manual or six-speed DSG transmission. Can it take a 29er whole? Remove the rear seats, and it’ll take three! But why a Maserati SUV? Well, the company has conducted extensive market research on the feasibility of such a machine, and the findings showed a gap in the market – particularly here in SUV-obsessed South Africa. 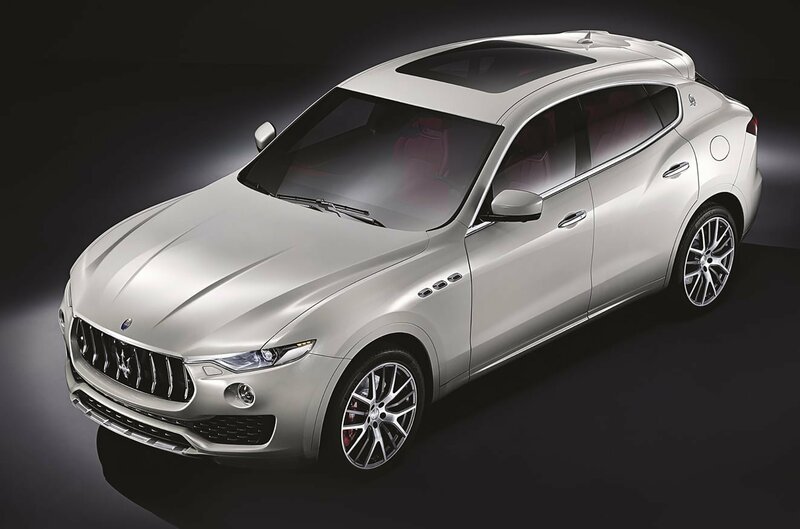 While it will only be produced in small numbers, Maserati reckons it will undoubtedly challenge its arch-rivals, the Jaguar F-Pace and the Bentley Bentayga, in terms of refinement, luxury and pricing. Engine-wise, there’s only one option: a 3.0-litre V6 turbodiesel that produces 202kW and 600Nm of rotational thrust. That’s plenty of shunt for equipping the Levante with all it needs to tackle pretty much any type of terrain. And then there’s its off-roading pedigree – the all-wheel drive system will either send 100% to the rear wheels or split it 50/50 front and rear, further adding to the vehicle’s list of skills. Fun fact – it’s the first Maserati to ever be optioned with a towbar. We like it. Can it take a 29er whole? Ja, but seriously – do you really want to put a bicycle inside this luxurious cocoon? When it comes to uniquely local favourites, no other car has cemented itself in South African folklore like the Fortuner. Despite the onslaught from adversaries such as the Ford Everest, Chevrolet Trailblazer and Mitsubishi Pajero Sport, the Toyota Fortuner continues its reign as the king of lifestyle SUVs – well, as far as the sales charts are concerned, anyway. But step inside, and you’ll quickly see how far the Fortuner has come in terms of cabin refinement. Yes, it may still be a Hilux-with-a-cabin, but Toyota has given it a distinct fascia design, as well as introducing a slew of upmarket finishes to lift the cabin ambience. Dark-brown leather complements the quality black-plastic trim, satin-silver inlays and wood panelling, to make the Fortuner look and feel quite upmarket. It retains the third-row seat-storing ability of its predecessor; we’d prefer the modern, fold-down-into-the-floor arrangement that several of its rivals have adopted. But that’s probably the only aspect worth nit-picking about, really. In terms of serving a modern cycling family, without a doubt the Fortuner is worth a look – it’s attractive, capable on any terrain, and appreciably competent at dealing with cyclists of any description, their bikes and their baggage. Can it take a 29er whole? 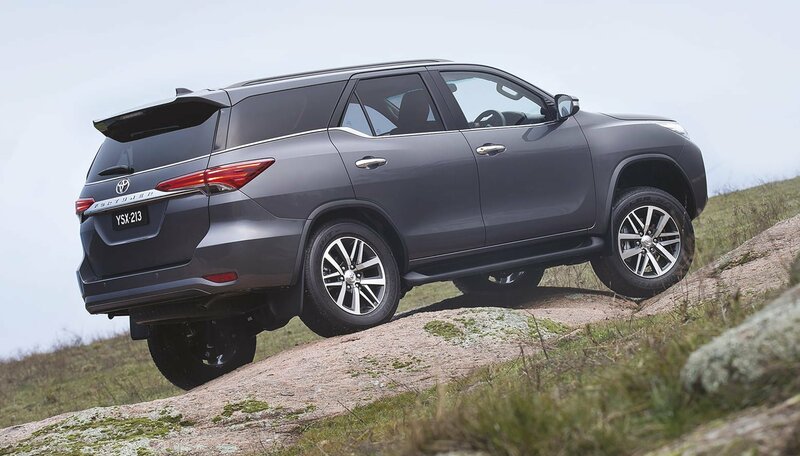 Come on – there’s nothing a Fortuner can’t handle. 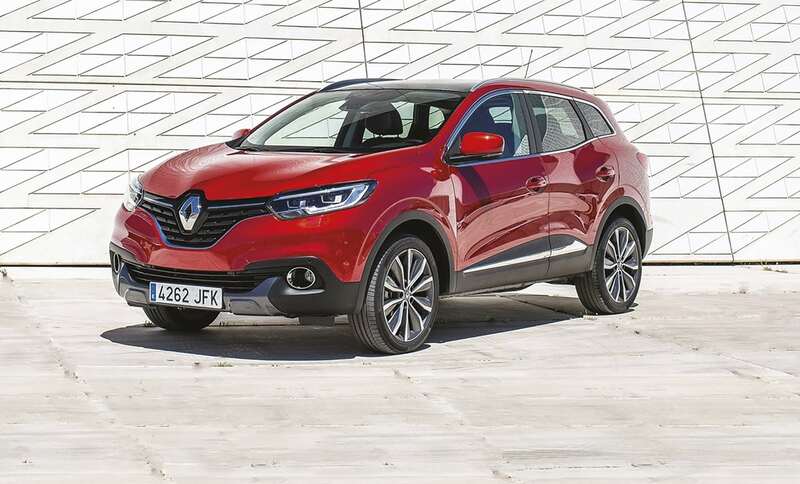 The Renault Kadjar looks a lot like the Clio – albeit a more muscular, pumped-up version, which helps distinguish it from its generic-looking rivals. In fact the Kadjar looks more accomplished than the well-established Nissan Qashqai, with a detailed and expressive appearance that should find favour with those who appreciate character over ubiquity. Other notable details include 3D-look tail-lamps, anodised roof rails, and black wheel-arch mouldings. As far as functionality goes it claims a 1.8-tonne towing capacity (granted, if fitted with the optional electronic tow hitch), and rear seats that can be configured in three ways, depending on the type of load. 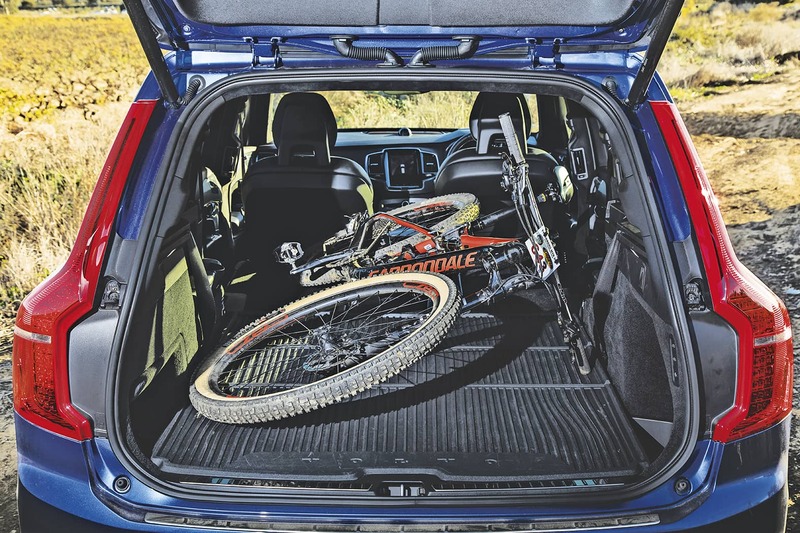 Yes, it can take a full-size mountain bike – plus, the standard load capacity of 472 litres (bigger than the Qashqai, might I add) can be increased to 1478 litres by folding the seats flat. Impressive. Our choice of the range? The Kadjar XP Limited Edition. Can it take a 29er whole? Of course. 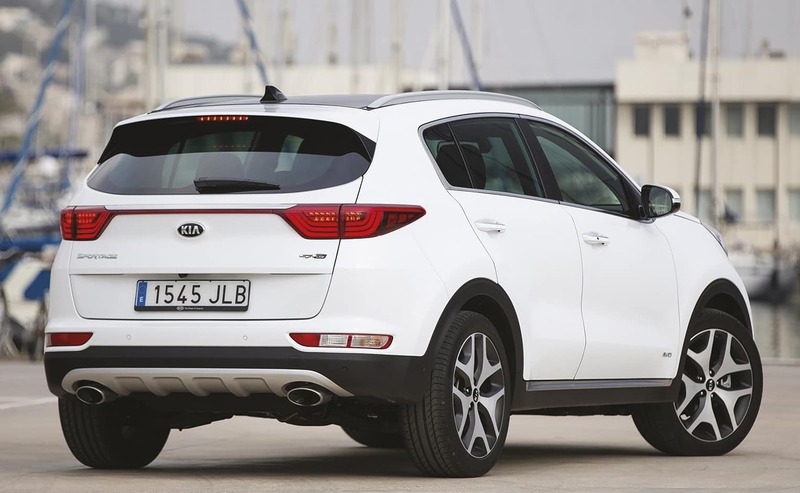 The Sportage is Kia’s Hyundai Tucson. Okay, not quite; but they do share technology and components, thanks to the synergies that come with being part of the same conglomerate. This is generation four – a far trendier-looking machine than its predecessor, thanks largely to Kia’s contemporary design language. It looks great, doesn’t it? Everything from the steering wheel and gear-lever surrounds to the air vents and chrome finishes all look and feel quite classy – Kia is clearly aiming for a more premium niche. It’s spacious, too – living room up front and in the rear compartment are both improved; as has the luggage space, which grows from 491 litres to 1480 if you fold the seats flat. And while it’s not as athletic as, say, a Volkswagen Tiguan or Mazda CX-5, it’s still pretty enjoyable to chuck around a twisty road. On the whole it’s quite possibly the most well-appointed range of cars in the entire segment, with such niceties as air-con, auto lights, Bluetooth connectivity, rear park distance control, electric windows and mirrors, roof rails and LED DRLs all fitted as standard. Can it take a 29er whole? Yip.